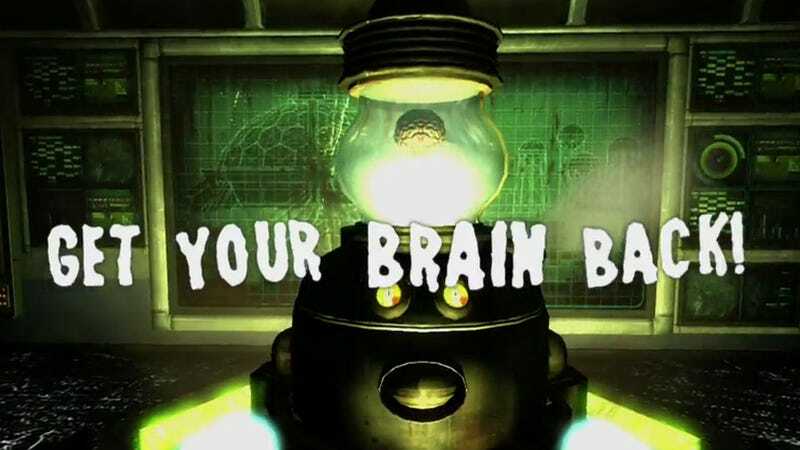 Due out July 19, the Old World Blues downloadable content for Fallout: New Vegas isn't exactly brain surgery, but it's pretty damn close. Does removing the entire brain count? After the inevitable apocalypse comes and goes, I plan on avoiding science altogether. The post-apocalypse and the powers of science simply do not mix in a way that's conducive to me staying alive for more than five minutes. No, when the world ends I'll be camped out with the folks from the local ren faire, eating steak on a stick and drinking homemade apple pie-flavored alcoholic beverages. Feel free to travel to Big MT instead. I'm sure not having skin is nice.